Author Blogging 101: Blog Infrastructure includes all the bits and pieces, many behind the scenes, that make your blog run. e-Book Cover Design Awards, October 2011 including Lunatic Fringe by Allison Moon, design by Julianna Parr, and Tricks, Tactics, and Techniques of Published Authors by Jan Peck & David Davis, design by David Davis. 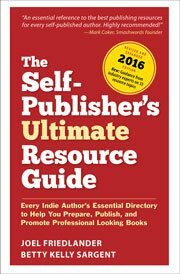 Your Author Platform: It's Not About You! Notes from a Self-Publishing "Success Story"